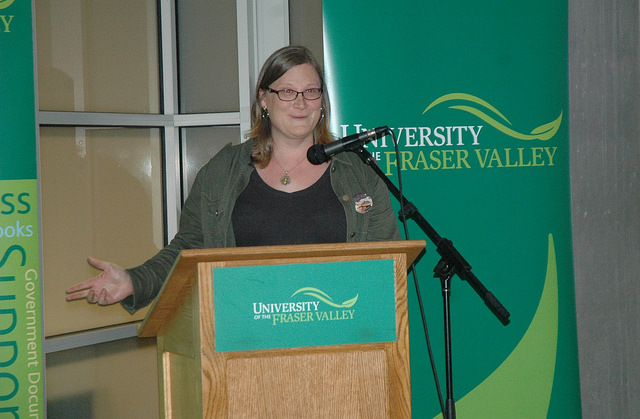 On September 24th, UFV faculty and staff celebrated the library's newest special collection: the Newman Western Canadian Cookbook Collection. 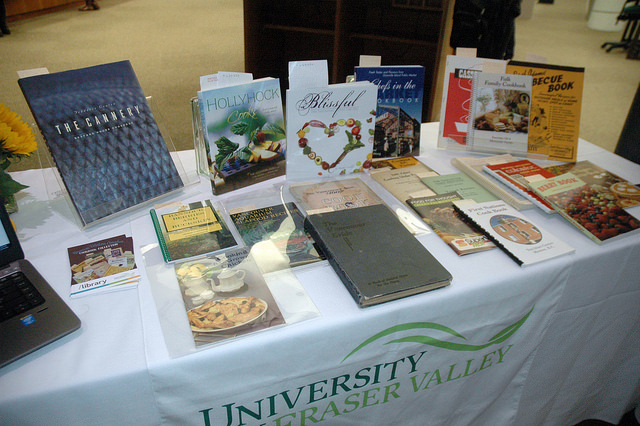 As a fundraiser for the collection, the UFV Library published a cookbook of favourite recipes contributed by faculty and staff titled Good Food Tells a Story. 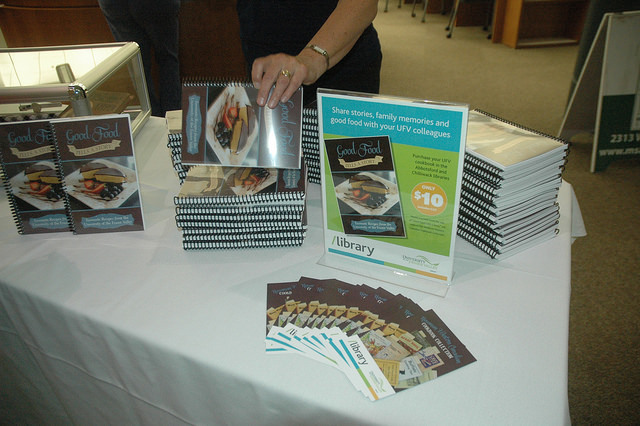 Copies of the cookbook are available to purchase and net proceeds will go towards building the collection. Details on how to buy a copy are available here. 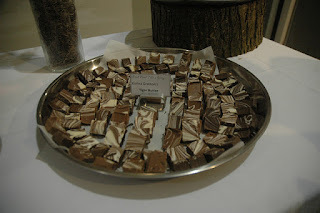 Tells a Story cookbook for guests to sample. 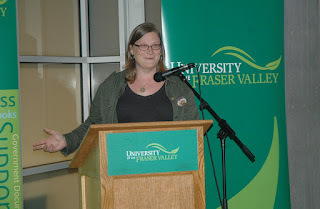 Photos from this special evening are available here. Dr Lenore Newman talks to our guests about the significance of heritage cookbooks and what they tell us about our culture, society and food ways. If you would like to learn more about the collection, please click here to open our research guide on the Newman Collection. 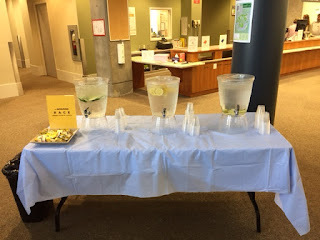 We are waiting for the Amazing Race participants to descend upon the library. This is part of the International Student Orientation. Students will take part in "Library: Mission Possible" which gives them a series of challenges to learn about our library and then to tell us about their home country library. Should be fun -- flavoured water, chocolates, and cool library buttons!